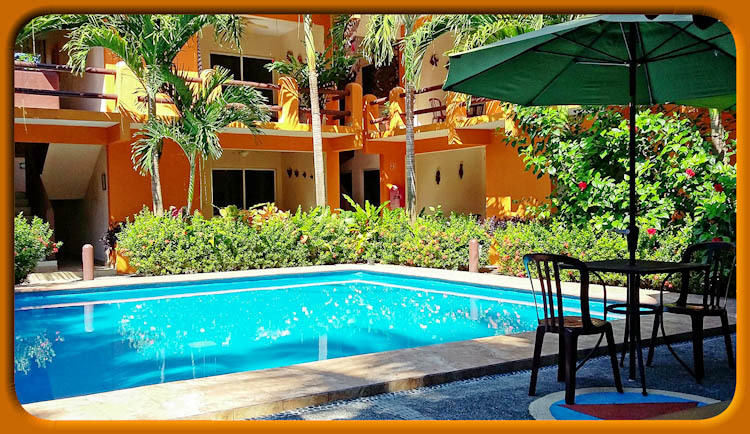 Welcome to Arecas Suites, a cozy hotel with a pool nestled amid lush tropical trees two minutes from the most beautiful beach in Zihuatanejo, Mexico: Playa La Ropa. 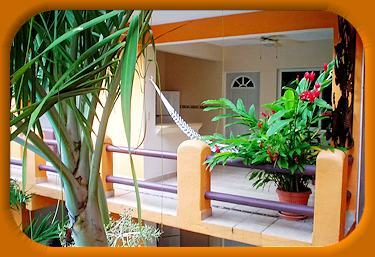 Arecas Suites features eight comfortable suites, all with a view of the pool. Each suite has a king-size bed, air conditioning, ceiling fan, private bath, closet, and a small safe as well as a spacious patio, with a ceiling fan, table with 4 chairs, hammock, kitchenette (no stove), refrigerator, microwave oven, electric coffeemaker, toaster, sink, dishes, and utensils. Nearby Playa La Ropa is one of Mexico's most beautiful beaches offering a variety of aquatic activities and fresh seafood restaurants. We would be happy to recommend any guided tour services to you, including for diving, sport fishing, sailing, surfing, visit archaeological sites, explore nature, or simply to know more about our region along the coast of Mexico.